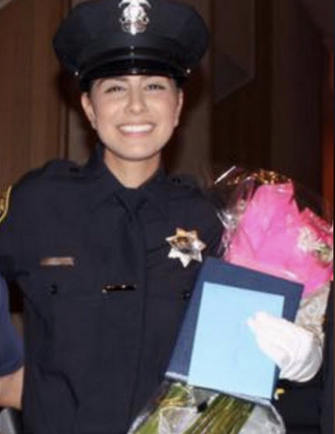 Officer Natalie Corona was shot and killed in the line of duty Jan. 10, 2019. The Davis (CA) Police Department says it does not have to make public the video footage of the murder of Officer Natalie Corona, despite new "transparency laws" that make releasing police video more common in the state. Although the new law doesn't take effect until July, even if it was applied today the footage would not be made public. According to the Sacramento Bee, the agency said that because Officer Corona used no force—she was ambushed and murdered before ever having the chance to even draw her weapon—the video will remain under wraps. "No use of force or discharge of a firearm was used against Kevin Limbaugh," Jean Lyon, records and communications manager for the Davis Police Department, wrote in response to a Sacramento Bee request for dash cam and body camera footage under the California Public Records Act. "As such, the department does not intend to disclose the investigation videos."